Omega-3 DHA is especially important during the first years of life when your baby's brain, eyes, and nervous system are rapidly developing. 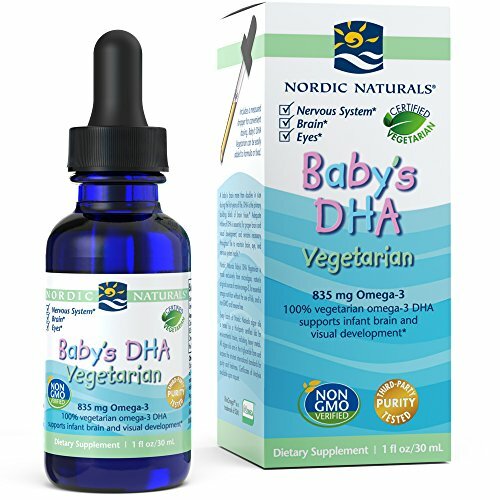 * Nordic Naturals Baby's DHA Vegetarian gives you a safe, plant-based source for this structural building block. 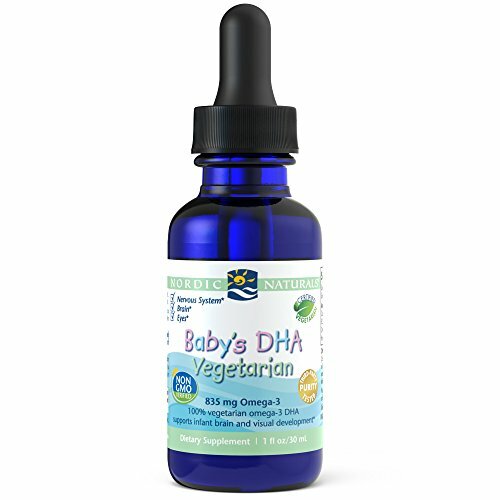 Made exclusively from our 100% vegetarian Algae Omega formula, Baby's DHA Vegetarian is hexane-free and certified by the American Vegetarian Association. Use the included measured dropper for easy addition to bottle or food. OMEGAS FROM UNIQUE VEGETARIAN FORMULA - Nordic Naturals Baby's DHA Vegetarian is made exclusively from microalgae, nature's original source of marine omega-3s. 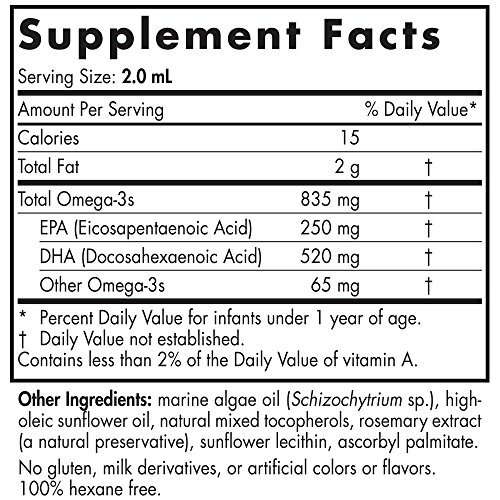 This special formula provides essential omega nutrition without the use of fish. 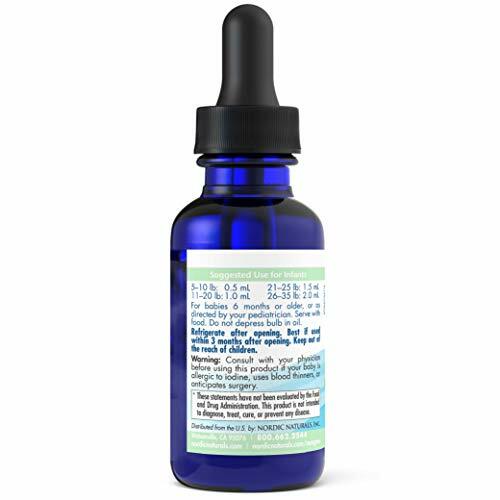 This is a great alternative to cod liver oil for your kids. Certified by the America Vegetarian Association. EASY TO USE WITH DROPPER - Intended for babies six months and older. When thinking of starting your baby on a supplement, a liquid is easiest. 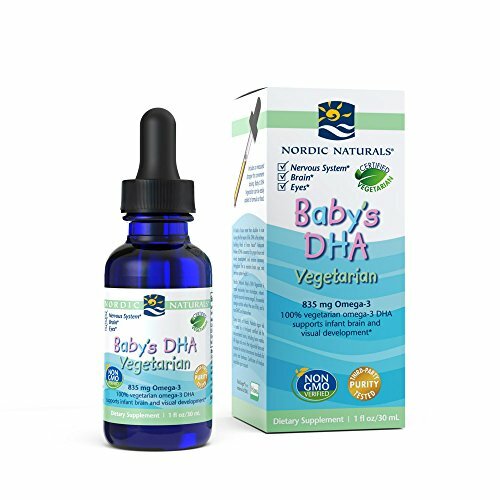 Nordic Naturals Baby's DHA Vegetarian comes with a measured dropper that allows for easy addition to formula or food. Omegas can have the biggest impact on healthy development. * See label for further dosage and directions. 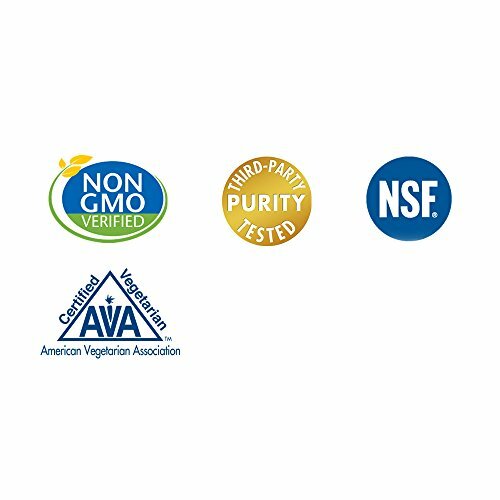 THIRD PARTY TESTED FOR QUALITY - Like all Nordic Naturals products, Baby's DHA Vegetarian is third-party tested and surpasses strict international standards for purity and freshness. 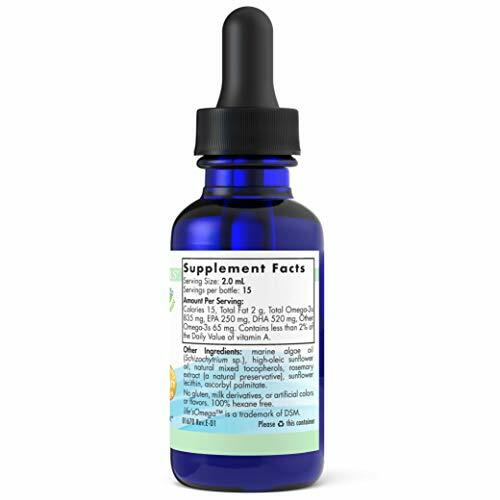 Nordic Naturals incorporates ethical and socially responsible practices in producing all of their supplements to make the best vitamins for babies and as they grow. We also have important supplements for mothers to improve prenatal, pregnancy, and postnatal health. NO ARTIFICIAL INGREDIENTS OR PRESERVATIVES - Nordic Naturals places good health first. As a result, our products have no artificial coloring or flavoring. They are non-GMO verified and hexane free. They are also gluten and dairy free. Our ingredients are sustainably sourced and natural to create supplements with all the things you need and without any fillers.